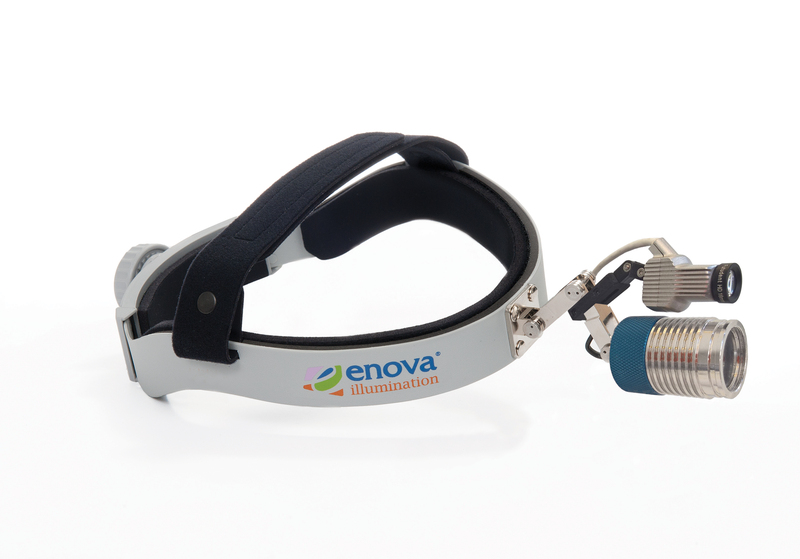 Shedding Light: How did you hear about Enova Illumination’s headlights? Shedding Light: You submitted photos of yourself wearing an Enova headlight on a mission trip, could you tell us about the trip? Dr. Tapia-Santiago: I’ve been going on mission trips to Guatemala for eight years with the Cascade Medical Team, which is one of ten HELPS International medical teams. It’s a wonderful organization that brings together primary care doctors, surgeons, dentists, anesthesiologists, pharmacists, nurses, midwives, EMTs, CNAs, translators and a number of non-medical volunteers including a construction team. 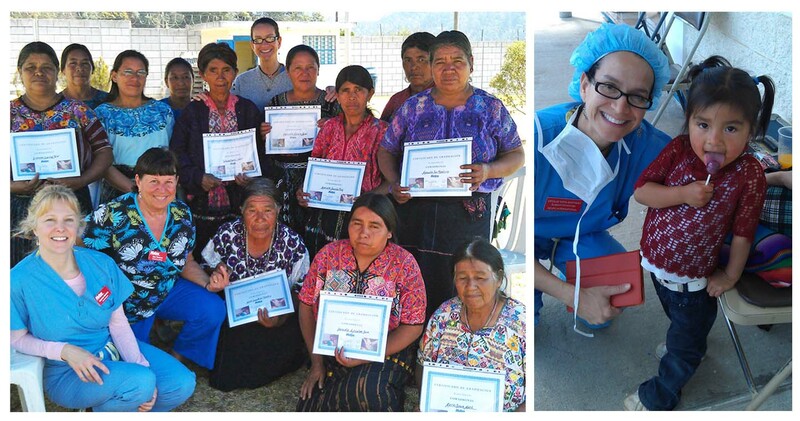 The mission’s focus is to help people in Guatemala with immediate primary medical care and surgical needs as well as to help them become more self-sufficient. We see a lot of burn victims because people in this area often don’t have a safe and environmentally sound way of cooking and heating their homes. So volunteers with construction experience join the team each year to build stoves. Shedding Light: What’s your role as a mission volunteer? How many patients do you see in that week’s time? Dr. Tapia-Santiago: Patients hear about the mission group’s arrival through media announcements and line up as early as 2 AM to be seen by a doctor or dentist and some wait for 12 hours before entering triage; they are incredibly patient human beings. We evaluated each case based on the services we could perform. Many of the women I saw needed hysterectomies. Uterine fibroids are very common and some women with these tumors can look like they’re nine months pregnant. I also helped with educational outreach, teaching midwives how to properly deliver babies and care for newborns and mothers. During the 2015 trip, our OB/GYN team examined 132 women, performed 19 surgeries and taught 10 new midwives. I first saw a television segment with Enova’s headlights on E!’s Botched. When I learned more about Enova and its mission program, I remember thinking ‘this company has it right.’ I’ve never heard of a company with such a focus. Shedding Light: What kind of lighting was available for surgical procedures? Dr. Tapia-Santiago: It was very minimal. There was natural light from windows, but no overhead lights and limited power outlets. The Enova-loaned headlights made a huge difference in our ability to see on this last trip. In the past, we used regular headlights anyone can purchase. Often a performing surgeon would need to stop to request a flashlight to provide more light. The Enova headlights provided bright illumination and allowed us to perform without interruption. There were five surgeons and two Enova headlights; we often fought over the headlights because they were so much better than what we’d used before. Shedding Light: How long each day did you wear the headlights? What about charging the batteries? Dr. Tapia-Santiago: We began each day at 7 AM and worked until 5 PM or later. The Enova headlights were very comfortable and never failed us. We charged the batteries each night as well as between cases. I’m pretty sure they wouldn’t need to be charged that often, but we didn’t want to take any chances in being without light. Shedding Light: Now you have your own XLT-125 headlight? What do you think of it? Dr. Tapia-Santiago: I will admit I did a ‘happy dance’ upon hearing the news that I’d won because I never win anything! But seriously, I knew how wonderful Enova’s headlights perform from my mission trip experience. Light is essential in any surgery and for vaginal surgery we need very bright light to see in a deep, dark and narrow space. We’ve been using a fiber optic headlight for surgeries through my practice in Daytona Beach. I’m excited to use the new headlight. On left is Dr. Tapia-Santiago and two other volunteers with Guatemalan midwives; on right is Dr. Tapia-Santiago with toddler in Guatemala. Shedding Light: Tell us more about your background and your practice. Dr. Tapia-Santiago: When I started at Cornell University, I intended to become a veterinarian, specifically a dairy vet, until I learned that I was allergic to every animal on earth! But the reproductive science I’d learned fascinated me and I decided to become a doctor of obstetrics and gynecology. I graduated from the NYU School of Medicine and have been practicing since 1996. In 1999, I co-founded Volusia OB/GYN. We have a team four physicians and one nurse practitioner and offer comprehensive obstetrical care services including for high risk cases. 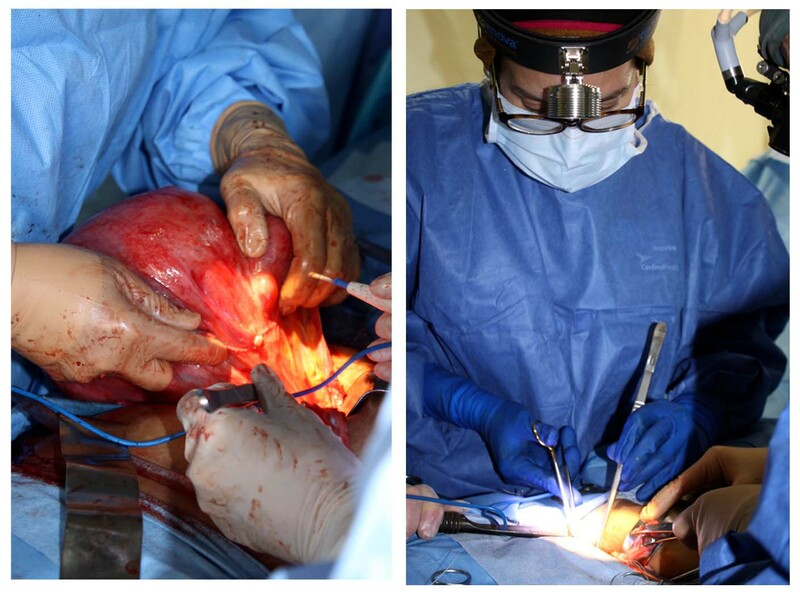 About 90% of our surgeries are minimally invasive, which are better for the patients because they heal faster. I’ve been going on mission trips for 16 years between the Dominican Republic and Guatemala. Every single trip I gain a sense of renewed faith in my profession. To help patients that in return are grateful beyond compare is invigorating. People will compliment me on donating my time, but those patients and families help me just as much, if not more. Shedding Light: Is there anything else you’d like to share with us? Dr. Tapia-Santiago: I’m very impressed with Enova Illumination. It is the first company that I’ve heard of with a commitment to mission work. It’s right there on the website. The headlights are outstanding and now, I have my own to take with me to Guatemala this year! *Enova Illumination supports medical mission work around the world. Hundreds of doctors and dentists have used our LED surgical headlights to perform surgeries in rural and remote communities throughout Central and South America, Asia and Africa. 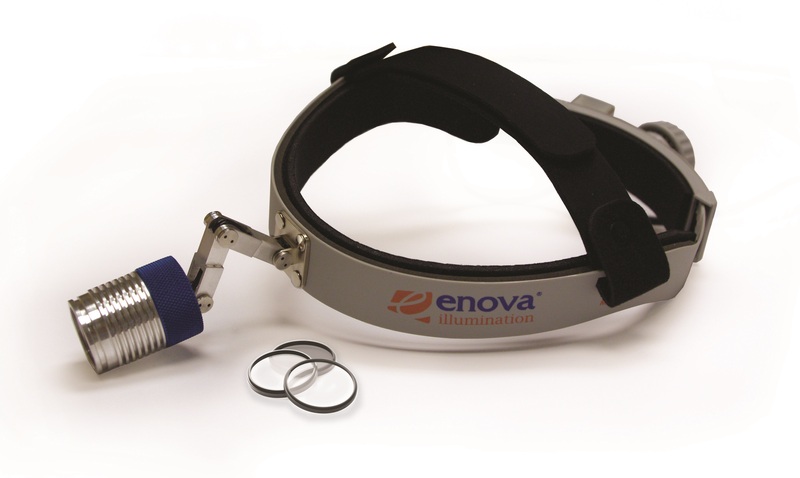 Surgeons particularly like Enova headlights’ bright illumination, long battery life, and robust construction for use in less than desirable conditions. Learn more. Have You Tried Enova’s Cyclops XLT-125 or XLT-225? 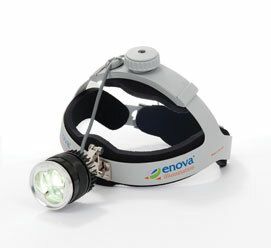 Enova’s newest headlight is the Cyclops XLT-225. At 225,000 lux, the XLT-225 is the brightest LED surgical headlight now on the market. Similar to all Enova LED headlights, the XLT-225 provides pure white illumination at 6100 degrees Kelvin for true tissue rendition. Its two extended brackets provide superior co-axial alignment—a feature that lets surgeons adjust the lamp to their individual height and angle of view requirements—and can be used with or without loupes. The Cyclops XLT-125 is Enova’s most popular headlight. It provides 125,000+ lux of pure white homogenous light (6100 degrees Kelvin) for true tissue rendition and the best illumination for deep cavity surgery. 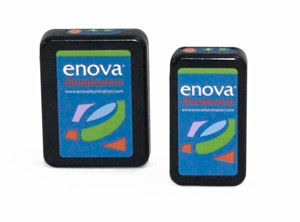 Plus, Enova offers a set of Color Temperature Filters for customized illumination. Enova’s newest accessory the Futudent HD Video Camera. This lightweight, high-definition video camera offers you a practical tool to document your surgery from your point of view. The camera can be attached to Enova LED Surgical Headlights or any brand of loupes and captures crisp HD video recordings, stills and audio.